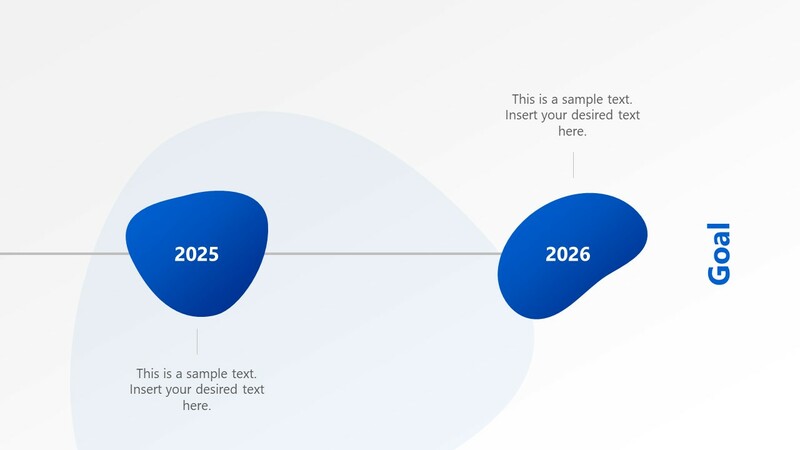 The Free 6-Year Ink Timeline Concept PowerPoint Template is a flat design of blue shapes. These segments are the milestones of timeline template, illustrating irregular shapes as ink spots. The 6-Year ink timeline presents six units with one-year gap in between. But users can edit text placeholder and make necessary changes. 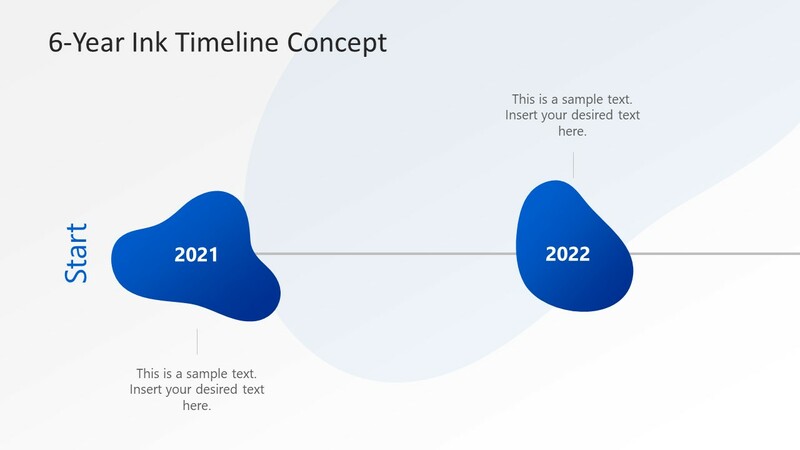 This PowerPoint timeline template contains three slides with two milestones per layout. Further, transition of slides create an animated view of horizontal timeline. 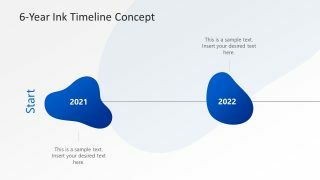 This slide show will display a large horizontal timeline template which could be used in any presentation. Such as educational roadmap, business project progress, or research status. 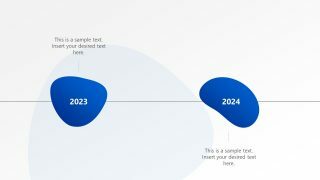 Find a horizontal and vertical ink concept PowerPoint timeline template in SlideModel premium catalog. The Free 6-Year Ink Timeline Concept PowerPoint Template contain editable objects which enable users to get creative with design. The users can easily change colors, alter text, or modify shapes in a fraction of time. Although, the shapes of ink spots contain blue gradient colors originally. But users can change these colors from solid fill or outline fill options in format menu. 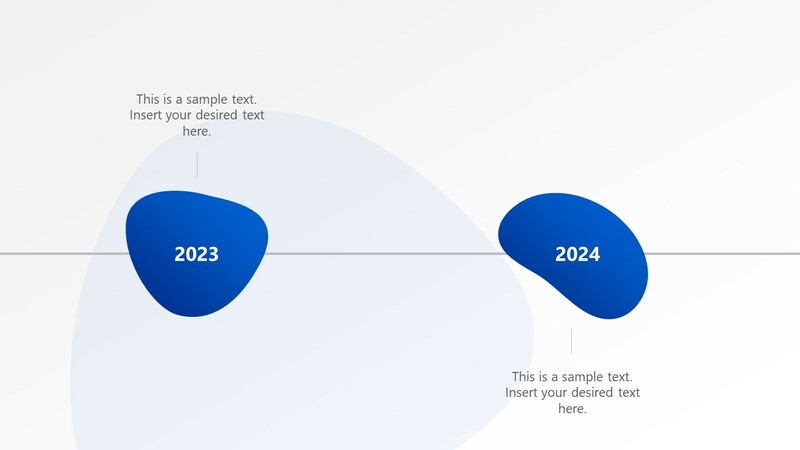 Since these PowerPoint shapes are high-quality flat vectors, resizing will not affect their image quality. Moreover, the transition effect Pan could also be replaced with any other animation option. The PowerPoint template of 6-year timeline template is designed to demonstrate step-by-step project status or growth of a business. The PowerPoint timeline templates are quick and easy way to highlight events, performance, and milestones. The visual representation of project status with the help PowerPoint shapes will result in professional timeline.